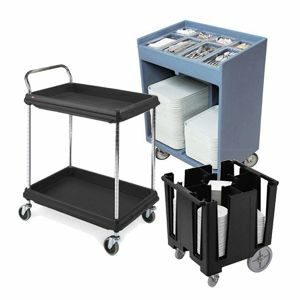 When you need to provide service at locations that change regularly or if you have limited space and need to store various serving stations out of view, consider a food or beverage service cart. 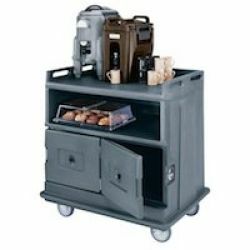 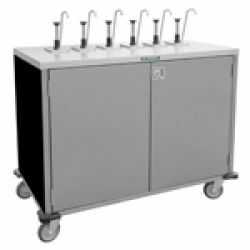 From coffee / tea carts and dessert carts to meat carts, condiment stations and mobile cash register stands, there is a cart on casters that will meet your needs. 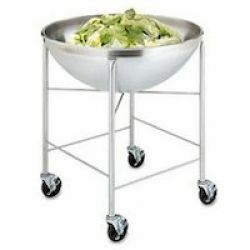 Cleaning dinnerware and flatware from your dining area is part of the warewashing process. 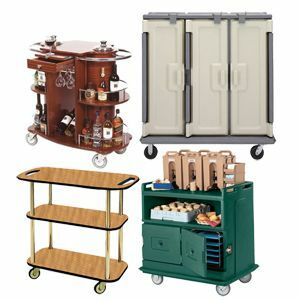 Getting dirty dishes, trays, and other items from the dining room to the warewashing area requires cleanup carts for bussing, for loading up dishwasher. 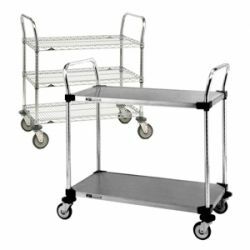 Dish and plate dollies and flatware carts can then hold cleaned items until you are ready to use them. 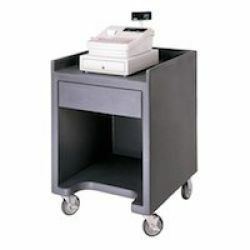 Hospitality carts include those carts that enable your staff to better serve your guests. 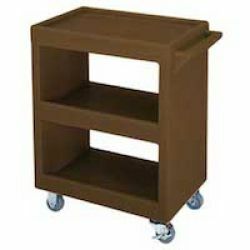 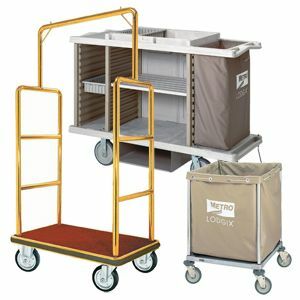 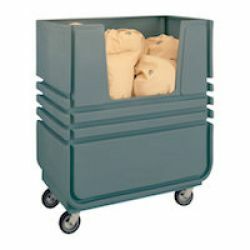 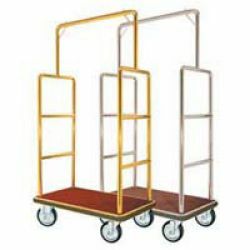 From luggage carts to assist at checkin and checkout to carts for the housekeeping staff to clean individual rooms and common areas, as well as laundry carts for each day's dirty linens, nearly any hotel, motel, or other business in the hospitality industry will be able to utilize these carts. 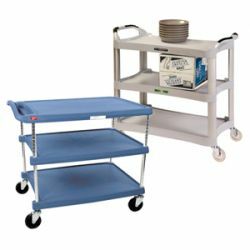 Janitor carts are versatile pieces of equipment. 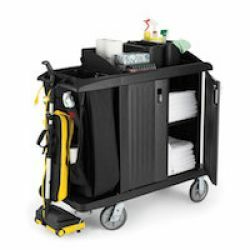 Typically they are configured to provide a waste receptacle, space for cleaning supplies, and some models incorporate a platform for a mop bucket. 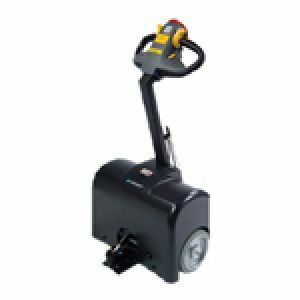 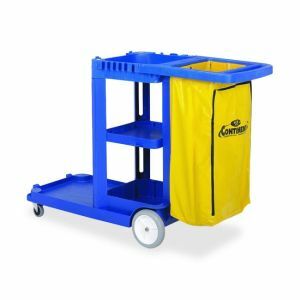 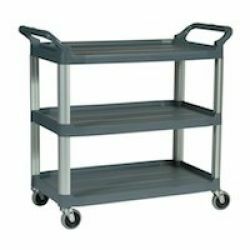 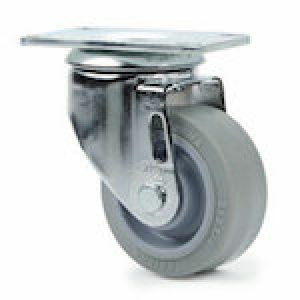 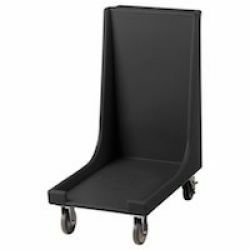 Durable plastic construction and heavy duty casters mean these carts will last a long time and they can stand up to the most demanding of cleaning tasks.